We provide support for all life stages. We want to help our members lead fulfilling lives, make informed choices and to support and inspire others. Most importantly we have a community who knows exactly what you are going through. We raise awareness of bleeding disorders in our community and beyond. As a member you can take part in a wide range of members events and meet other people with bleeding disorders. 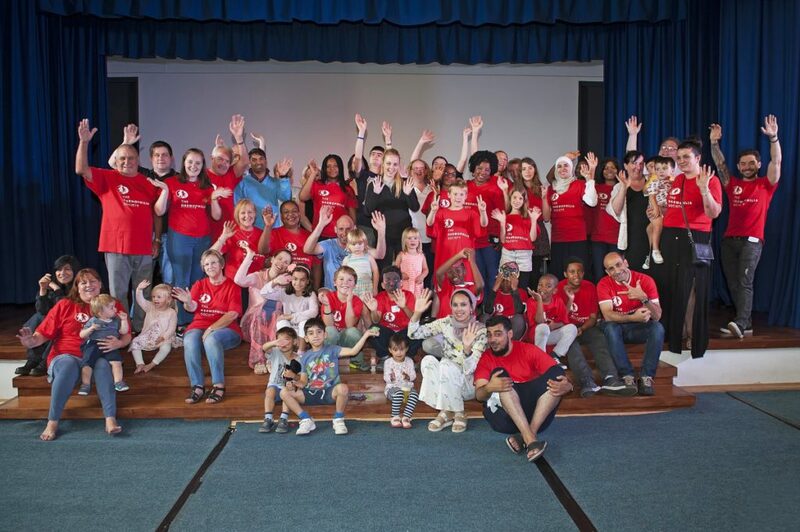 We run various events throughout the year, such as Newly Diagnosed weekend, Youth camp, Inhibitor Information and Support, Talking Red, and Living Well, all of which are free to members. That’s why we have arranged the events listed below, take a look and join us. This amazing weekend is aimed at families who have a child (0-5yrs old) newly diagnosed with a bleeding disorder. This residential weekend provides the opportunity to attend informative sessions with health professionals including specialist nurses, paediatricians and physiotherapists. You will also have the chance to swap stories and make new friends in our community. Some of our fantastic youth ambassadors will also be there to share their story. A specialist crèche offers fun play and learning for your little ones while you join our sessions. Our young members can struggle to cope with having a bleeding disorder and having to get treated every few days. This sometimes has restrictions of activities they can do and therefore miss out on having fun. Our summer camp held in August for five days allows children to understand more about their bleeding disorder and raise their confidence levels. It also gives them the chance to understand how teamwork and determination can benefit them. Sign up for our amazing youth camp and have fun whatever the weather. Siblings can attend too. We aim to reduce isolation and provide information and support for our community as they get older. The majority of our members aged 30+ are living with co-morbidities such as HIV, hepatitis B and hepatitis C, and may also have been told they are at risk from vCJD. Our services offer a safe environment for people to share their experiences with others who have similar diagnoses, providing information, support and the opportunity to meet others. We want to ensure all our services met the needs of our members and are designed with this community in mind. We are currently developing a care home resource pack that will be available for members which provides information for care home staff. We strive to reduce isolation and provide information and support for anyone living with or caring for someone with an inhibitor. Our services provide a safe and relaxed opportunity for parents and adults to gain information from specialist nurses, physiotherapists and psychologists, as well as to meet other families living with an inhibitor. There are also opportunities to inform our members about new treatment developments. This allows our members with longstanding inhibitors to feel more informed and less isolated following our events. Families and individuals affected by a bleeding disorder can often feel a sense of uncertainty and isolation. Our local groups provide a vital network of mutual support for people with bleeding disorders around the United Kingdom enabling members to meet others in their local community. Family days are run by our local group as a support network, creating invaluable friendships between families. Join your local group so you do not miss out on our exciting family day events. Women can have bleeding disorders. Tens of thousands of women across the UK are living with symptoms of a bleeding disorder without even knowing it. There are lots of misunderstandings about bleeding disorders and often people do not know women are also affected. Women with bleeding disorders also need regular treatment and specialist care. Therefore, THS regularly run campaigns to raises awareness. One event, Talking Red, helps women more aware of the symptoms of a bleeding disorder – heavy periods, bruising easily and prolonged bleeding after a procedure or childbirth. Our women’s awareness events aim to promote better understanding of what it means to live with such a condition.